Build up the tower and take turns to remove a block and place it on the top without de-stabilising the whole tower. The higher you reach the more unstable and the bigger fun it becomes! Each pine block measures 29cm x 7cm x 4.5cm. 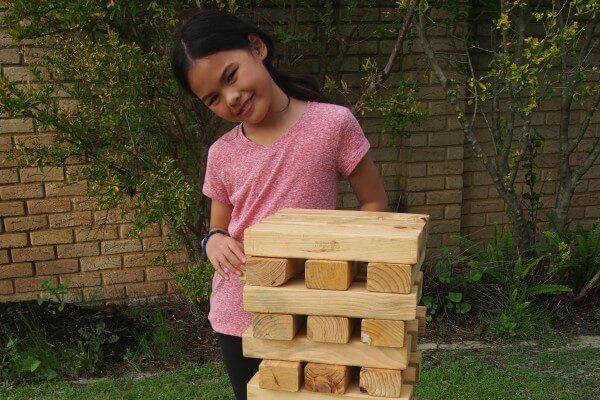 This giant version of the classic family game Jenga, is now even bigger than our regular Tower Blocks. This game is suitable for any number of players from 2yo to adults and is ideal for parties, weddings and any other large event.